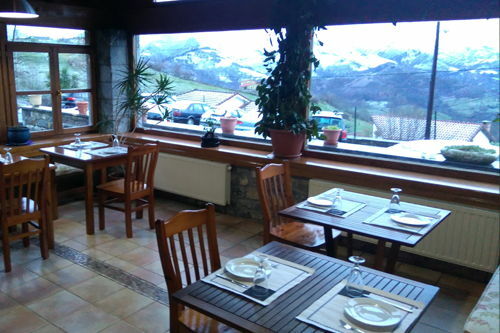 You will find El Rexacu in the upper part of the village, with spectacular views of the surroundings, a good access road and a large private parking. Its terrace and surroundings are merged with the pastures and orchards, so you will be in contact with nature from the moment you arrive at the hotel. 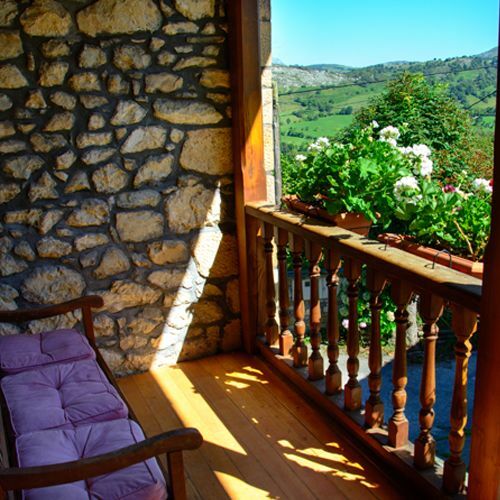 The building, a modern construction that maintains the traditional architecture of the Asturian slope of the Picos de Europa, is distributed in three floors with elevator. The common areas are on the ground floor of the rural hotel, where you can enjoy the warmth of the fireplace, the library, the table games or simply watch from the glass the fantastic panorama that surrounds us. 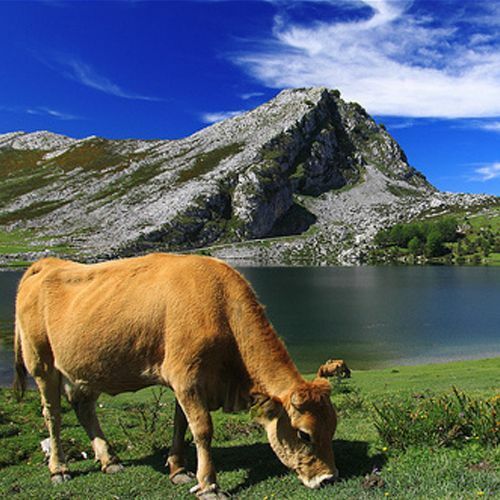 The Rexacu is the perfect place to disconnect in Picos de Europa and enjoy the tranquility that gives us being in the middle of nature. Even so, if you need to connect to the outside world, we have Wi-Fi throughout the hotel, free for our client. On the ground floor we have a bar-cafeteria where you can have breakfast or have a drink quietly. 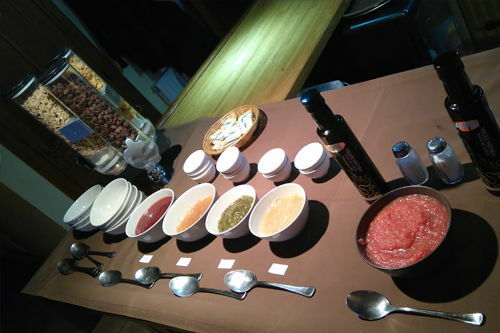 In the cozy restaurant of the Rexacu we will offer you a careful homemade cuisine using the best products of the place. There is a laundry service and pets are allowed in the individual booths located outside the hotel on request. 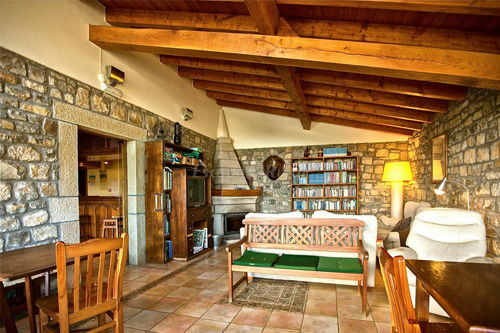 BAR, LIVING ROOM WITH CHIMNEY AND A ROOM WHERE TO ENJOY NATURAL BREAKFAST WITH A SPECTACULAR VIEWS. On the first floor of the hotel you can enjoy two very special spaces. 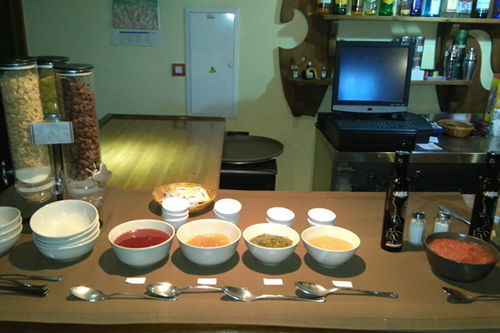 In our bar and breakfast area you can take forces in the morning with natural products in our buffet. Coffee, teas, fresh juice and 7 different varieties of jams made by us, plus our cupcakes. 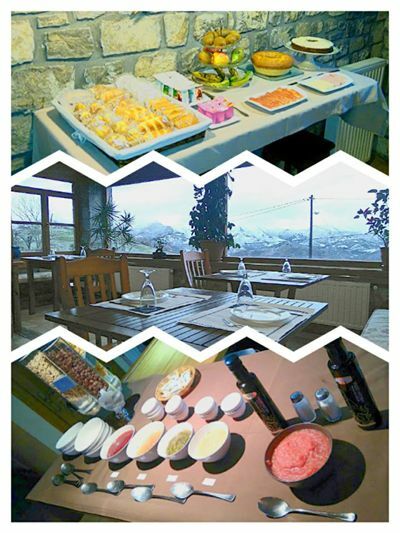 During your breakfast you can enjoy spectacular views of the mountains that will leave you impressed. 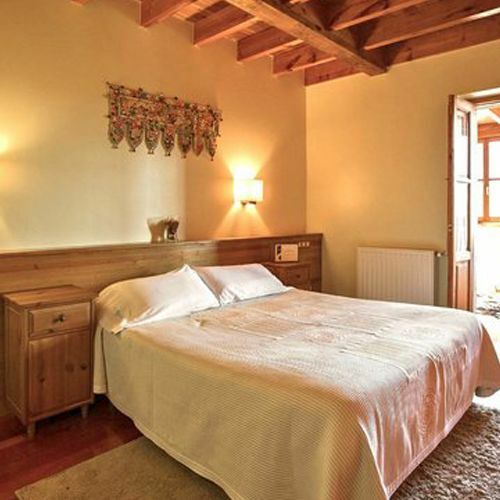 In our adjoining room with fireplace you can enjoy a chat or reading a good book in comfortable and cozy facilities or rest after a day of rural tourism in the area discovering the National Park of the Picos de Europa. 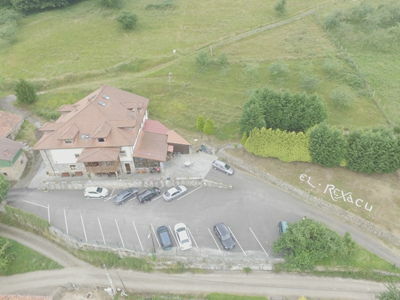 We have a large parking in the vicinity of the hotel so you do not have any parking problems when you get to El Rexacu. You will always have the car at hand because you can park a few meters from the entrance to the hotel. ARE YOU THINKING OF A GROUP TRIP?